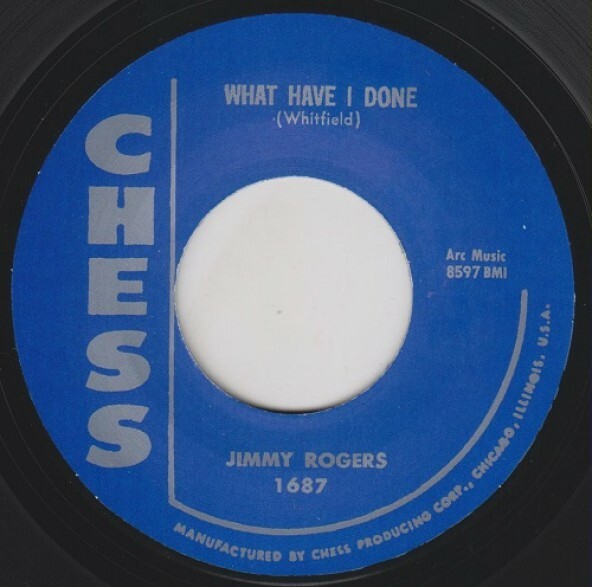 JIMMY ROGERS "WHAT HAVE I DONE/ TRACE OF YOU" 7"
2 slower-paced cuts, 1 of which actual works for the popcorn crowd. 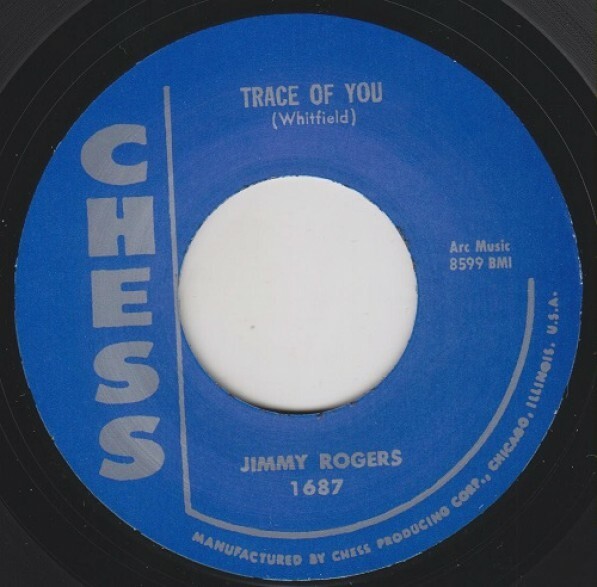 JIMMY ROGERS "GOIN AWAY BABY" 7"
JIMMY ROGERS "WALKIN' BY MYSELF/IF IT AIN'T ME..." 7"
BUDDY GRIFFIN "I GOT A SECRET" / WILLIE MABON "POISON IVY" 7"
REV. BALLENGER "THIS TRAIN/ HOW I GOT OVER" 7"
RENE TOUZET "EL LOCO CHA CHA" / CHUCK BERRY "HAVANA MOON" 7"
MUDDY WATERS "YOU NEED LOVE" / HOWLIN’ WOLF "HIDDEN CHARMS" 7"
HOWLIN WOLF "SHAKE FOR ME/ LITTLE RED ROOSTER" 7"
BILLY STEWART "BILLY'S BLUES PT. 1/ 2" 7"
SLIM SAUNDERS "GET AWAY/LET'S HAVE SOME FUN" 7"
OTIS RUSH "I'M SATISFIED/SO MANY ROAD, SO MANY TRAINS"
BUDDY GUY "SLOP AROUND" 7"